Thanks for the update! I've got goosebumps just thinking about the new book being released this year! Okay, I just found your blog via Entrecard and I am hooked. 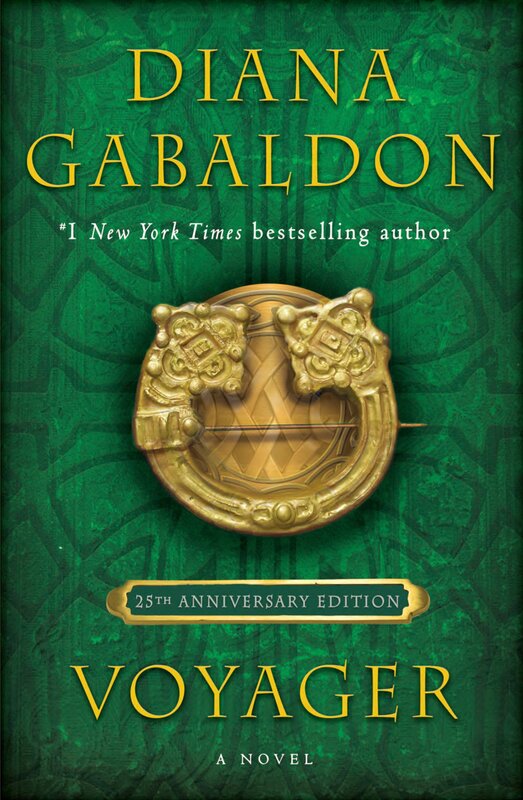 I love the Outlander series. I stumbled across it quite by accident about 2 years ago or so and have been hooked ever since. Trying to go to grad school and read book #6 is not working well :( Anyway, love the blog and I will be a regular reader. Welcome! I am delighted to hear you like my blog. I am currently listening (yet again :-) ) to the audio version of ABOSAA myself. It's an addiction, no question about it. If you have time, I would encourage you to check out the Compuserve Books and Writers Forum as well (link is on the right side of this page, just under the poll), which is the online community where Diana hangs out. We are always happy to welcome new fans over there. The Poisoned Pen is also taking pre-orders for Echo and they are offering a limited number of autographed copies too. For those fans out there that may not be familiar with this store, it is a local book store in Arizona that Diana frequents. 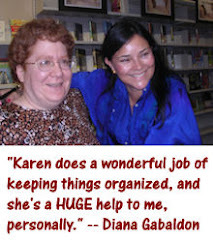 You can also watch a wonderful one-on-one (video) interview of Diana at their website. I’ve pre-ordered my autographed copy and plan to purchase Echo at my own local book store the day it is released. I personally like having 2 copies of each book; one for my collector’s book shelf and one that I know will fall apart from rereading it many times. I hope the book will be out in Sept., but after reading Diana’s explanation of the complex process from MS to store-shelf, it may not be feasible. 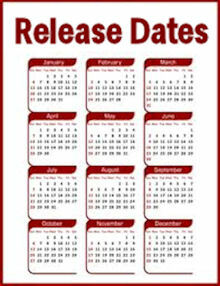 I do think it will be out before Christmas though. And personally, I wouldn’t mind waiting a little longer if it meant the book was as big as ABOSAA. The bigger the better!! That's a great tip, thanks! I ordered a set of autographed hardcovers from the Poisoned Pen about a year ago, and I use them as my "reference" set (which is to say, I only touch them if I want to look up a specific quote). The Poisoned Pen does a great job and their salespeople were very friendly (and most definitely familiar with Diana's books!) when I called them to place my order last year. I will definitely get an autographed copy of ECHO, but maybe not immediately upon its release. I want to be sure I'll have it in my hands on the release day, so I'll probably just buy it locally. 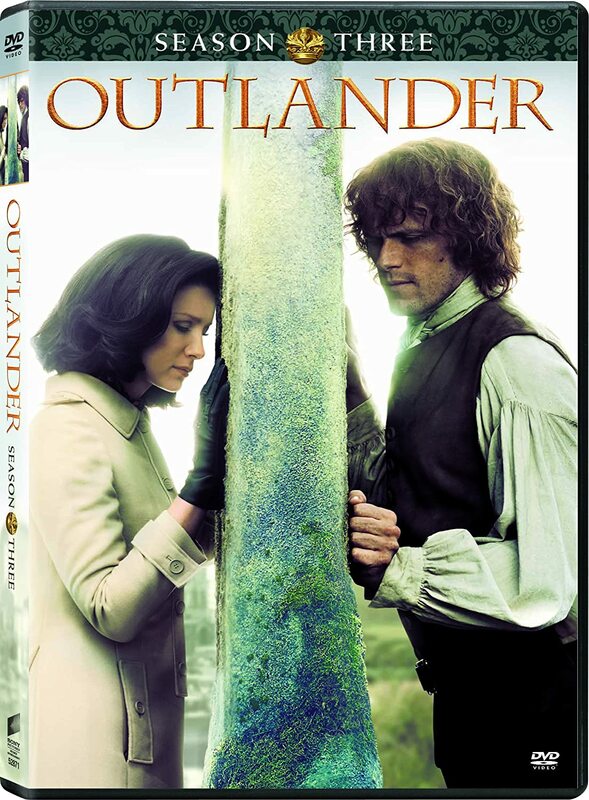 As for "the bigger the better", I hope you're right, but Diana keeps making comments that make it sound like it will be more the length of OUTLANDER or DRAGONFLY. Well, who knows, really, since she's still writing the book, and it's getting longer every day. We'll hope for the best. He reached out and touched my lower lip,barely brushing the edge. "It starts out the same, but then, after a moment," he said, speaking softly, "Suddenly it's as though I've a living flame in my arms." His touch grew firmer, outlining my lips and caressing the line of my jaw. "And I want only to throw myself into it and be consumed." That's a lot to quote in a small column. Thanks for going to the trouble of finding them in the books. Oooohhh, that's a good one! Thanks!